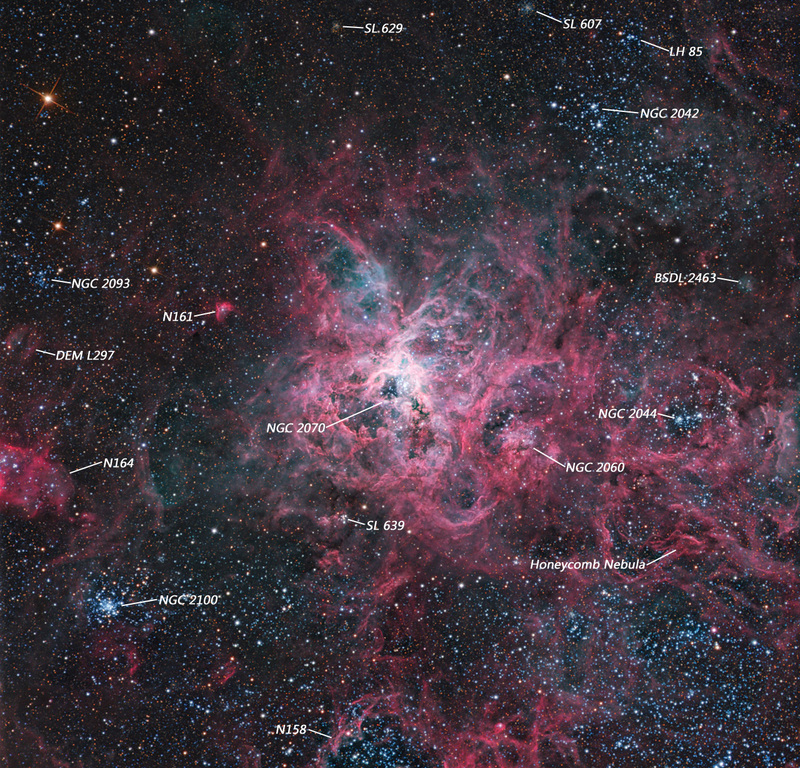 Comment	 Discovered by Nicolas Louis de Lacaille in 1751, the Tarantula nebula (aka NGC 2070) is a bright HII region located in the southern constellation of Dorado. The spider shaped structure is fuelled by the brightest and most prolific star-forming region in our galactic neighbourhood, known as 30 Doradus. 30 Doradus is home to several million young stars, among which live the most massive stars ever seen. The nebula resides 170,000 light-years away in the Large Magellanic Cloud, a small, satellite galaxy of our Milky Way. Image is a HaOIII+RGB composite.